I was provided an eArc of this book for review, and Amazon link (image) is an affiliate link. I loved Jane Harper’s first two books, The Dry and Force of Nature, and I was a little disappointed to hear that her third book, The Lost Man, didn’t feature Aaron Falk, the detective from the first two. I wasn’t disappointed for long. 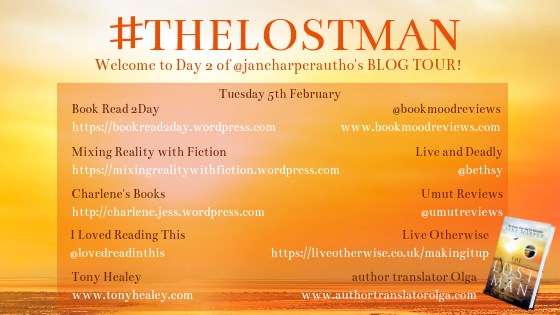 The Lost Man isn’t just a crime novel. It’s an exploration of a family, a town, a landscape, and yes, a death. There’s so much more to it than the crime though, as it weaves narratives of several family members together, and deftly takes apart people and their motivations. There aren’t any heroes. There are certainly villains. Are they who you think they are? If you’re anything like me, you’ll be kept guessing throughout, as the story unfolds like the landscapes in her descriptions. It’s so vivid that it feels like a memory rather than a piece of fiction – I can’t begin to describe people and places the way Jane Harper does. I read this book back in October according to my kindle, and it’s stayed with me throughout. Although I am thinking that maybe I deserve a re read. I’ve yet to meet anyone who has read The Dry or Force of Nature and not adored them. I actually think The Lost Man is even better, which I didn’t think was going to be possible. Buy this book. But be ready to block out the next couple of days for reading. You won’t want to put it down.